Are you having trouble with your PC or Laptop at home? 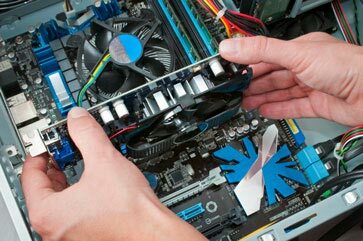 Are you having trouble with your business' IT hardware or software? At CTA Systems we pride ourselves on excellent feedback, please take a look at our reviews, we are computer engineers Covering Warrington, Widnes, Runcorn, St Helens & Surounding Areas and we visit you in-home or on-site, we can provide help with your Computer and assist in any problems you may be having. We can help with all of these and many more I.T. matters and we aim to get to you the same day! Will Howell of CTA Systems has looked after my Company IT needs for the last 11 years. Recently helped me out with major Website and Business 365 transfer issues -he knows his stuff and keeps his prices realistic. I would recommend him without hesitation. An excellent, prompt and efficient service from Will. A really knowledgeable chap who is very personable, he makes the subject of computers really easy to understand. Great service offered both remotely and on site. Back up service too and ongoing support is very welcome. Nothing appears to be too much trouble. Thank you for sorting out our computers, email addresses and de-bugging everything. Will is excellent technically, is very quick to troubleshoot, is very personable and offers a first class service. Fantastic service and costs , quick to respond and very knowledgeable , will definitely be using CTA SYSTEMS again ! !